Sold - Judith-Ann Realty, Inc.
Well kept, A-1 condition 2 family that could easily be a single family if needed. Downstairs the home has 2 bedrooms, a full bath, kitchen with dining area, formal dining room, small den and a living room. 2nd floor has eat in kitchen, small dining room with a gas fireplace, 1 bedroom, 1 bathroom and nice living room. Both have laundry hook ups and great enclosed front porches. All replacement windows, 5 year old roof and would make a super rental or owner occupy! Owners want offers! Super clean 2 family home that makes for a great owner occupied building! 1,308 square foot apartments with eat in kitchens with original glass front cabinets, dining rooms and large living rooms. 3 spacious bedrooms each flat and a bath each. Hardwood floors throughout and nice woodwork. Full basement with laundry hookups. Nice porches, detached 2 car garage and a fenced in back yard. Home comes with a 2nd lot. Good condition 2 family home in a nice location. Home has 2 bedrooms on each floor, eat in kitchens, and living rooms. Upstairs has dining room and 1 1/2 baths and down has 1 full bath. Deck off the back and open front porch. This 4 bedroom, 2 full and 2 half bath tudor style home offers the ultimate in fine living. It has a large eat in white kitchen, formal dining room with hardwood floor, den, living room with fireplace and nice entrance foyer with tile floor. Sliding glass door off the kitchen opens to a deck that leads to the heated inground pool. Great finished basement family room with hot tub area, work out room, large bar and pool room. Basement walks right out to the pool!, 2 car garage and located in a super neighborhood! Broadabin Perth schools. ​Sharp 2 story home that sits on a quiet side street off of Chapel place. Home has an updated kitchen with light maple cabinets, tile back splash and appliances. Open living room, dining area, separate dining room, 2 bedrooms on the first floor and 1 upstairs. Den on the 2nd floor could easily be a 4th bedroom, and the home has a total of 2 1/2 bathrooms. Lower level family room, deck off the back of the house leads to a nice above ground pool. Beautiful landscaping, open front porch, a mud/storage room off the kitchen and a 1 car garage. Move in ready!! Newly rebuilt Contemporary style home with a spectacular view of the Mohawk River and the valley from every room! Home features open kitchen with appliances, dining area and living room with wood stove and vaulted ceiling. 2 bedrooms, a den, laundry area, 1 1/2 baths, new electrical and new furnace! The attention to detail is noticeable as you see the great woodwork and oak molding throughout! 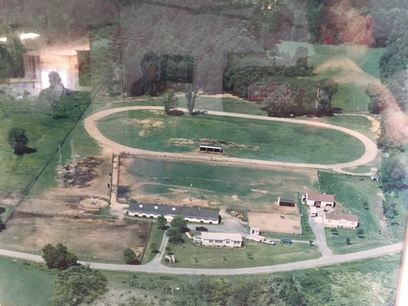 Fonda Fultonville schools. Low taxes! Ranch style home in an excellent neighborhood just needs a little TLC, but could be a perfect starter or retiree home! It features a open kitchen with breakfast bar, dining area off the kitchen and good sized living room. 3 bedrooms, 1 full bath with ceramic floor, full basement, nice yard and an attached 2 car garage. ​Nice country cottage style home situated on a 1 acre lot, as per deed. Home features country kitchen, dining area, living room, 3 bedrooms and 2 bathrooms. Nice open front porch, new metal roof, nice yard and a shed on the property. Great starter home! FFCS schools. Low vacancy 6 family rental property with a positive cash flow! 8,256 square foot brick building with separate heat and lights for each flat plus there is municipal water, sewer, and natural gas! Large parking lot behind the building and it's and opportunity that deserves your immediate investigation since it is priced to move! 3 unit features a small studio appt. on the 1st floor right. 1st floor left side has 3 bedrooms, large kitchen with tile floor, dining room and living room. Laundry in the kitchen. 2nd floor has large 4 bedroom with a full bath, eat in kitchen and living room. All separate utilities, back yard and clean and well maintained property. Great Cape Cod style home situated on just under an acre of land. Home features nice kitchen with plenty of cabinets, appliances, breakfast bar and spacious dining area. Formal living room with pellet stove, 4 bedrooms, (2 down and 2 up), and 2 full baths, (one on each floor). Family room in the lower level has a work out area and a sitting area with a brick, wood burning fireplace. Hardwood and tile floors throughout and the home has replacement windows and vinyl siding. There is a beautiful full length enclosed back porch that leads to a insulated 3 car garage with wood stove. Garage has a full 2nd floor with dormers, perfect for finishing off into another room or use for storage. Nice back yard with a shed, patio, a deck with a retractable awning and there is a great veranda off the side of the house. Home is in excellent condition and ready for a new family! Easy maintenance free first floor living in this sharp unit situated in one of the best sections of Walling Corners condominiums! This end unit has kitchen with light maple cabinets and all appliances, dining room / living room combo. with fireplace and corner hutch. 2 bedrooms, master with large double closets and it's own bath, 2 bathrooms, (total), central air-conditioning and a 1 car attached garage. Great family home in a nice residential neighborhood! Home has an open Oak kitchen with dining area, formal dining room, a living room and an open family room with wood burning fireplace. 3 bedrooms on the second floor, (that includes a large master bedroom), central air conditioning and a total of 1 1/2 bathrooms. Sliding glass doors off of the back of the house that leads to a pressure treated deck overlooking the private back yard. Open front porch and a 2 car garage with a Hybrid charger! Nice private setting with this 3 bedroom, 2 bath two story home on a 3.4 acre setting. Home has solid oak kitchen with appliances and a newer tile floor and backsplash. Huge dining room with hardwood flooring and an oversized living room with a cozy den area with a pellet stove. 30' x 60' pole barn in good condition, detached 2 car garage with chicken coop off of the side of it, a new pressure treated deck off the back of the house and a huge yard! New listing won't last long! House is on a great dead end street in a super neighborhood! Needs a little TLC, but can be a great family home! Features kitchen with dining area, good sized living room with fireplace, (wood stove insert), 3 bedrooms and 1 full bathroom. Attached 1 car garage and a great yard! Great condition Cape Cod style home set on a 1.40 acre lot, as per deed. Home features eat in kitchen with appliances, large living room, 3 bedrooms,(2 down, 1 up), with the possibility of a 4th, and 1 full bathroom. Enclosed back porch, mostly new windows, newer roof, a generator hookup, great yard and a 1 car garage. Broadalbin Perth schools..
Spotless Ranch style home in a great part of the city! Home features and eat in kitchen with appliances, spacious living room with refinished oak hardwood floors, 2 large bedrooms and a full bathroom. Full, clean basement that can be converted, central air conditioning, a large, deep lot that backs up to woods, a 3 year old roof and a attached 1 car garage. Beautifully remodeled 2 story home is move in ready! Home features new kitchen with large breakfast bar and appliances, dining area and comfortable living room. Large entrance foyer, hardwood floors throughout, 2 bedrooms and 2 full, updated baths on the first floor. 2nd floor master bedroom, (3 bedrooms total), open front porch, new plumbing and electrical. Home is in impeccable condition! 2.3 acres of land comes with this clean 3 bedroom, 1.5 bath house on a quiet side street in the town. Kids can ride their bikes to Shuttleworth park and what a yard they can play in! Inside it has a living room & dining room, large eat in kitchen, 1 bath down and a half bath up. There are 3 spacious bedrooms, a detached 2 car garage with attic storage, and low taxes! It's a bargain that won't last long! Well kept, A-1 condition 2 family that could easily be a single family if needed. Downstairs the home has 2 bedrooms, a full bath, kitchen with dining area, formal dining room, small den and a living room. 2nd floor has eat in kitchen, small dining room with a gas fireplace, 1 bedroom, 1 bathroom and nice living room. Both have laundry hook ups and great enclosed front porches. All replacement windows, 5 year old roof and would make a super rental or owner occupy! Brick structure with 3 bays perfect for storing, cars, boats, motorcycles, ect. Building has concrete floors, updated to circuit breakers and paved a driveway. Walk up loft for more storage. 50'x110' lot as per deed. Great condition Colonial style home set on nice lot in a super neighborhood! Home features cherry kitchen with stainless steel appliances and breakfast bar. Formal dining room, living room with fireplace, 4 bedrooms upstairs and a total of 2 1/2 bathrooms, (master suite with tile bath). Cherry hardwood floors down, tile in the laundry room, and a finished lower level family room. Open front porch, a deck off the back of the house leads to an in ground pool, 2 car attached garage and a beautiful yard! View Slide Show - New Pictures Added! Beautifully remodeled Colonial style home features nice white kitchen with stainless appliances, formal dining room and living room with stone fireplace. 3 bedrooms upstairs, 2 full bathrooms upstairs and a 1/2 bath down. Laminate flooring throughout with tile baths. New windows, open front porch, full, clean basement an above ground pool, shed and deep back yard! Pictures seriously don't do this adorable, well kept home justice! Home has great kitchen with gorgeous island seating and appliances. Formal dining room and living room both with hardwood floors. Entrance foyer with staircase to 2nd floor. Upstairs there are 3 bedrooms, master has it's own balcony, and 1 large bathroom. Original woodwork throughout, first floor laundry room, replacement windows, new roof, great open front porch and a large 2 story outbuilding in the back! Make your appointment quickly to see this one as it will go fast! 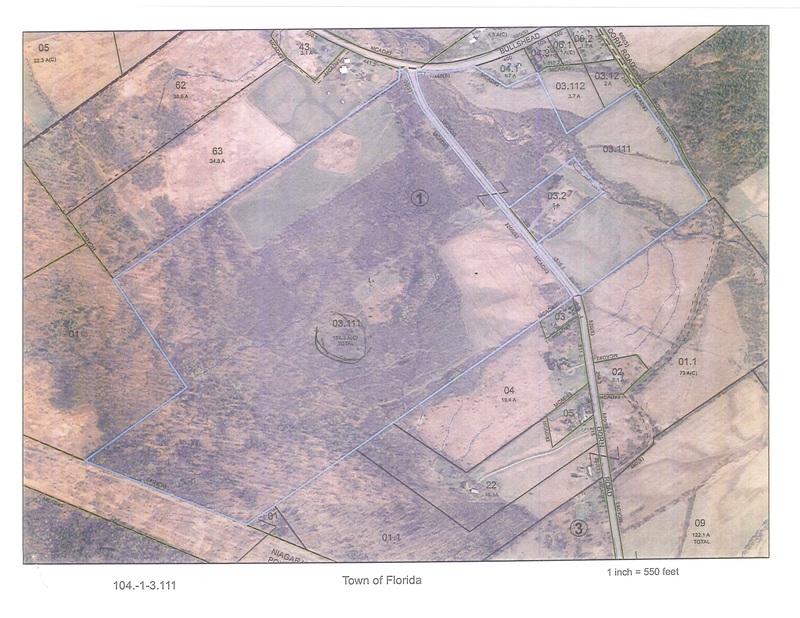 2.00 acre, surveyed building lot in the Town of Florida, adjacent to water and sewer. Parcel city up higher along the road with public poles along the road. Nice wooded lot with wildlife in a quiet location. Looking for a private country retreat with great hunting? Check out this 14.70 acre parcel with a year round, slate bottom, stream! Small metal cabin for storage near the stream. Great trail network on the land and it's bordered by hundreds of acres of farmland and woods. Own your own private country retreat! Exceptional 2 family in a great section of the city. 1st floor has an eat in kitchen with custom Birch cabinets and appliances, large living . 3 spacious bedrooms and 1 bathroom. Upstairs has kitchen, living room, 2 bedrooms and a bath with claw foot tub. Clean, full basement with laundry area. A great side yard and a 2 car garage. Immaculate 2 family in a nice section of the city. House has an open concept first floor apartment with an oversized living room, dining room and 2 large bedrooms, (3rd bedrooms was converted into a laundry room) and 1 full bath. Upstairs has 3 bedrooms 1 full bath with original claw foot tub, kitchen, dining room and living room. Enclosed back porches, separate heat and living, full basement, and a 1 car garage. 1,641 square foot second floor unit, in this 55 and up community, that is looks as new as the day they finished it in 2007! Great open concept kitchen with center island and appliances, dining area, and living room. This unit has a deck with a view of the valley and the woods. There are 3 bedrooms, 2 full bathrooms, nice entrance foyer, laundry room, central air and an attached 1 car garage. Well maintained Raised Ranch style home on a deep 2 acre lot on a nice side road in the Town of Perth. Great floor plan includes a nice kitchen with stainless appliances, new counter top and backsplash. Separate dining area, bright living room with pellet stove, 3 bedrooms and 1 3/4 bathrooms. Hardwood floors throughout, family room in the lower level along with another bedroom. Great deck off the back, a 9' x 19' storage shed, huge back yard and a 2 car garage. Broadalbin Perth school district. Sharp brick Ranch on one of the best streets on the south side! Inside has an updated kitchen with oak cabinets and an eat in area that has sliding doors out to a composite deck. Oversized living room with decorative fireplace, a central hallway that leads to 3 bedrooms, (master with 3/4 tile bath), and a total of 2 1/2 baths. Refinished hardwood floors throughout, full basement with family room area that has a bar with knotty pine wall. Generac gas generator, all updated replacement windows, patio area in front and an attached 1 car garage along with a carport. Move right in!! Good condition Ranch style home situated on a 95' X 158' lot as per deed on a quiet dead end street. Home features eat in kitchen with appliances, living room, 2 bedrooms and a bath. New windows throughout, and gas hot air heat. Sliding glass doors off the back lead to a deck and patio, small barn, wood shed, apple trees and black berry bushes. Home also has an attached 1 car garage. Cape Style home situated on a nice 1.51 acre lot as per deed! Home has eat in kitchen with appliances and living room. 2 bedrooms and 1 full bath on the first floor and 2 more bedrooms and a 1/2 bath on the second floor. Some hardwood floors & small entrance porch. Needs some TLC, but would make a nice family home! Excellent condition 2 family would make a great owner occupy! Down stairs has updated kitchen, formal dining room, living room, 3 bedrooms and 2 bathrooms. Up has kitchen, dining room, living room, 2 bedrooms and 1 full bath. Separate utilities, new windows throughout, city water and sewer and a 3+ car garage with a work shop. Great neighborhood! 1 year old Stanton model in the beautiful Mohawk Hills Development. Home features large open kitchen, dining room and living room with hardwood floors. Kitchen has gorgeous cabinets with granite counter tops, a breakfast bar island and stainless appliances. Bright living room has cathedral ceiling and gas fireplace. 3 bedrooms, including nice sized master with his and hers closets and it's own full bath. Central air, 2 full baths total, sprinkler system, 1st floor laundry, an open front porch and open back veranda, a full basement ready for you to finish into a great family room and a 2 car attached garage! Ranch style home featuring 1,378 square feet and sits on 1.31 acres, as per deed, in a private country setting. 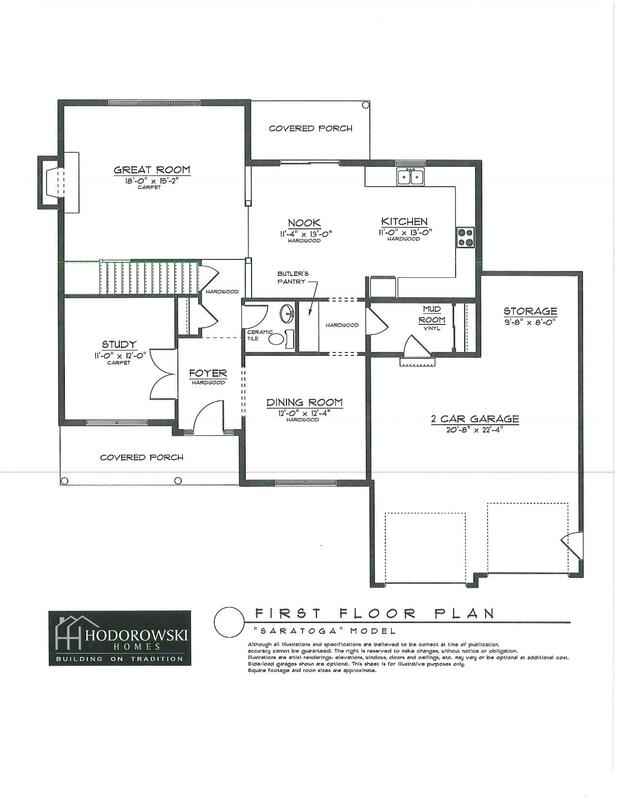 Home has great floor plan with an eat in kitchen with appliances, tile floor and back splash. Dining room, large living room with fireplace and hardwood floors. 3 spacious bedrooms with ample closets and 1 full bathroom. Clean full basement with work bench, 1st floor laundry, storage shed, deck off the back with cabana and an attached 1 car garage. Great condition Cottage style home situated on a nice deep lot. Home features country kitchen with appliances and dining area, formal dining room and large living room. 3 bedrooms total and 1 full bath and another 3/4 bathroom. Nice open front veranda, central air, 8 year old roof, nice fenced in yard, a hot tub and a 2 car garage! Excellent condition Cape Cod style home set on a nice 139' x 100' lot as per deed. Home has beautiful kitchen with small island and breakfast nook, formal dining room and living room with hardwood floors. 2 bedrooms on the first floor and 1 more bedroom upstairs. 1 1/2 bathrooms, semi finished basement with laundry area, an open front porch and a 1 car garage. Move in ready, no work needed here! You will love to move right in to this gorgeous 2000 square foot "Mount Marshall" Ranch style home in the beautiful Mohawk Hills Development! Home features a great open plan! Dark wood kitchen with granite counter tops, stainless appliances, breakfast nook and pantry. Kitchen looks into the great room with hardwood floor and gas fireplace.Nice bright formal dining room with hardwood floor, 3 bedrooms and 2 full bathrooms. First floor laundry, entrance foyer, full basement, and a 2 car attached garage. Call for more details and a map of the development! Upgraded Cape Cod style home with an outstanding floor plan! Oversized kitchen with light maple cabinets, granite counter tops, a dining area and hardwood flooring. Large living room with oak hardwood floors, 2 bedrooms on the first floor and 2 bedrooms up. A total of 2 1/2 bathrooms, radiant floor heat on the 1st floor, ground level deck off the back, a walk out basement and all set on 5.05 areas as per deed! Immaculate 2 bedroom 1 bath that has kitchen with appliances, dining room and living room. Laminate flooring and carpeting, laundry area and an attached 2 car garage. Covered porch and storage shed. ​Large family? Take a look at this spacious 5 bedroom, 2 bath, 2,400 square foot Ranch style home in a great neighborhood! Kitchen has oak cabinets with new center island and back splash and all appliances. Large living room with new carpeting and nice big master bedroom with large closet. Finished basement with nice family room, 2 bedrooms and a 3/4 bath with laundry. Walk out basement, attached 2 car garage, pressure treated deck with new stairs and municipal water and sewer. 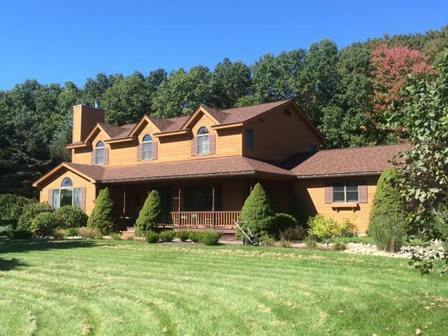 Almost new Cape Cod style home, set in the country, on over 30 acres of beautiful privacy! House has everything on your wish list including a first floor master bedroom with it's own private bath, nice light maple kitchen with appliances and eat in area, formal dining room and formal living room. 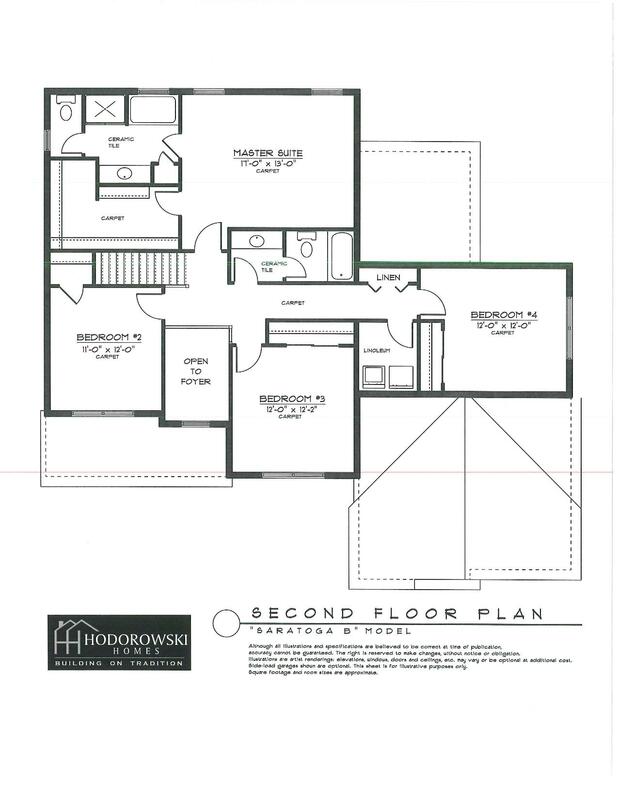 2 more bedrooms upstairs, 2 1/2 bathrooms total and a bonus room, (or 4th bedroom), over the garage! Hardwood floors on the 1st floor, sun room off the back, washer and dryer area off the kitchen, (washer and dryer stay), deck off the back with retractable awning that overlooks the private back yard and open front porch. Generator, Palm Beach shutters, 2 sheds and an attached 2 car garage. You will love to move right in to this gorgeous 2000 square foot "Mount Marshall" Ranch style home in the beautiful Mohawk Hills Development! Home features a great open plan! Dark wood kitchen with granite counter tops, stainless appliances, breakfast nook and pantry. Kitchen looks into the great room with hardwood floor and gas fireplace. Nice bright formal dining room with hardwood floor, 3 bedrooms and 2 full bathrooms. First floor laundry, entrance foyer, full basement, and a 2 car attached garage. Call for more details and a map of the development! Great starter home features nice bright kitchen with a pantry and appliances, formal dining room and living room with hardwood flors. 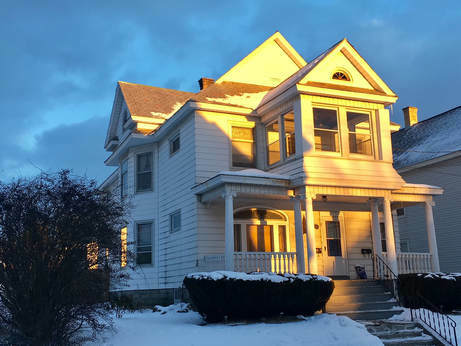 3 spacious bedrooms, (1 down and 2 up), a full bath, (first floor), hardwood floors and original woodwork throughout. Gas hot water heat, a nice open front porch, great yard, large attic storage and a detached garage. A beautiful setting comes along with this excellent condition Colonial style home situated on 5.40 acres of land with 215' frontage, as per deed. Home features nice white kitchen with granite counter tops, stainless appliances and dining area off the kitchen. Formal dining room, living room with built ins and a faux fireplace and a large family room with pellet stove! Half bath and laundry on the first floor, 4 bedrooms and another 1 1/2 bathrooms on the 2nd floor, (master bedroom has it's own full bath). Hardwood and laminate flooring, beautiful 3 season sun room plus hot tub and sauna room! Full basement, an office in the basement along with a work shop area. Deck off the back of the house, fenced in yard, a great 14' x 6' cupola on top of the attached 2 car garage and a large storage shed! Broadalbin Perth Schools. Nice Cape Cod style home situated on a 67.50' x 120' as per deed. Home has very large eat in kitchen with appliances, living room with hardwood floors, 2 large bedrooms down and 1 up, but the attic could be converted for another bedroom. 1 full bath, open front porch, nice yard, full basement with laundry area and a 1 car garage. Great neighborhood! Every part of this Ranch style home is so well packaged together! From the recently remodeled kitchen with quartz counter top to the finished basement with a gas fireplace and bar makes for great entertaining space! 3 bedrooms, 1 1/2 baths and nice open living room. The back yard is a true outdoor oasis! Beautiful patio area with outdoor grill, T.V. hook up and an above ground pool with cabana! Everything is in A-1 condition and you must see this special home. ​Owner started fixing this one up, but didn't get to finish. It has an updated furnace, roof, wiring, siding and septic, but still needs to be finished on the inside. Updated cherry cabinets in the kitchen that is all open to the living room with a brick fireplace. 2 bedrooms up and 1 full bath and the start of another 1/2 bathroom. Home sits on approximately 4 acres with a shed behind it. ​Brick split level in an excellent neighborhood in the Town of Amsterdam. Home features eat in kitchen with maple cabinets and granite counter tops, formal dining room and living room on the main floor, (hardwood floor under some of the carpeting). Lower level has a family room and 1/2 bathroom. Upper level has 4 spacious bedrooms and a full bath. Just shy of 2000 square feet, this is a great family home! Home also comes with nice big yard and attached 2 car garage! Easy one floor living in this clean 3 bedroom 1 1/2 bath Ranch set on a quiet dead end street. Home features an eat in kitchen with appliances, separate dining area and a good sized living room. All the bedrooms have hardwood floors. Full basement with laundry area, great yard and a 1 car garage. 148.93 acres tract with approximately 25 tillable. 2,282.78' of sub dividable road frontage with public power lines. Large dig pond, large woodlot with exceptional deer and turkey hunting! Great views looking north and land has great trail network with looking roads and snowmobile trails. Land on south side borders National Grid land. Land as some timber value and it close to Capital Region and points south. Immaculate 3/2 bedroom 2 family home in a nice quiet area. 1st floor has updated eat in kitchen with oak cabinets and pantry, large living room, 3 bedrooms and tile bath. 2nd floor has nice eat in kitchen, living room 2 bedrooms and a tile bath. Great woodwork throughout, porches on each floor, (back are wainscoted), replacement windows, clean basement with new furnace, central air conditioning and a 2 car garage. Super rental income potential on this great 2 family house on the south side that needs some TLC. Home has kitchens, dining rooms and living rooms, 4 bedrooms and 1 full bath on each floor. New windows, blown in insulation, open front porch down and enclosed front porch upstairs. Great location on a quiet dead end street! Good condition 2 family home in a nice part of the city. Home features 2 bedrooms down and 3 upstairs. Down has kitchen with breakfast bar and very large living room and dining room combo. Up has large kitchen, living room and 3 bedrooms. Both units have full bathrooms. Full attic, basement a nice and and a 1 car garage with workshop. Great corner lot! 103.75 +/- acre farm in a very private setting with great views! 79.69 of tillable farmland great for row crops, beef cows or horses. Comes with post and beam conventional barn, 15 acre wood lot and private driveway. Home is in good condition with an eat in kitchen, painted wood cabinets, pantry and laundry area. Large dining room with exposed wood beams and hardwood floor, 1st floor den area, large master bedroom with picture window and double closet, 4 bedrooms total and 2 full bathrooms, enclosed porch and a 3 car garage. We have a sharp 3 bedroom, 3 bath Townhouse overlooking the 4th hole fairway at Rolling Hills and it has a great south facing view! Home has galley kitchen, tiled entrance, large living room and dining room combo. Full finished basement with family room, deck off the back and a full house generator. You will be able to work less and play more because everything from mowing to snow removal is covered in your association fee! Attached 2 car garage. Sharp Colonial style home with tons of curb appear on a quiet dead end street. Home has large eat in kitchen with oak cabinets, grant counter tops and tile floor. Kitchen is open to the family room with gas fireplace, recessed lighting and cultured stone. Formal dining room with hardwood floors and formal living room also with hardwood, (crown molding in the dining and living room). Open front porch, nice entrance from the car port, garage was converted into an office or 4th bedroom, finished basement, great pressure treated deck with awning and fenced in ground pool! Picture perfect Cottage on a 1.4 acre lot, as per deed, with a park like yard and amazing gardens with nature trails. Inside the house it has an open kitchen with pantry and center island, cozy living room with great molding and trim and knotty pine floors throughout the 1st floor. 2 bedrooms, one on each floor and an updated full bathroom. Full basement has a den setup and laundry area. Detached 2 car garage with open breezeway. Amish storage shed, garden shed and owner will leave the snow blower, lawnmower and tiller! Sweet 4 bedroom 1 1/2 bath Cape Cod style home on a nice deep lot. Home has an eat in kitchen with appliances, cozy living room, 2 bedrooms down and 2 bedrooms up. Full bath on the 1st floor and another 1/2 bathroom upstairs. Replacement windows, new landscaping and a breezeway to the 1 car garage. Fresh paint inside and a full clean basement with laundry area. Broadalbin Perth schools. If location matters, this Split Level home comes in a super neighborhood! Home has a great 100' x 231' lot as per deed and inside has kitchen with appliances, dining room, living room with fireplace and cozy family room. 3 bedrooms, 1/2 bathrooms, nice enclosed back porch, full basement with laundry hook ups and a 1 car garage! Cottage style home situated on a nice corner lot in a great neighborhood. Home features kitchen with white cabinets and dining room with french doors leading to the living room. 3 bedrooms, 1 full bath, natural woodwork throughout, hardwood under the carpeting, open front porch, breezeway in the back leads to a 2 car garage. Excellent condition, 1st floor Townhouse in a 55 and older community. Home is an end unit and features kitchen with appliances and an open dining room and living room with gas fireplace. 2 bedrooms, 2 full bathrooms, laundry room with washer and dryer included and an attached 1 car garage. You'll want to see this immaculate 3 bedroom cape in a friendly neighborhood! It has an open kitchen and dining area with a breakfast bar, over sized living room with hardwood floors, 2 spacious bedrooms downstairs, and a full tile bath down! Upstairs has a 3rd bedroom, and an expansion attic for a 4th! It has a great fenced in back yard backing up to St. Mary's school, and a detached 1 car garage. It's in great condition and just waiting for it's new owner! 64.20 wooded acres on the corner of Merry Road and Shellstone Road. Older home and unfinished building on the property needs some TLC. Garage, well and septic on the property along with an older outbuilding. Great recreational property. Great starter home in a quiet residential neighborhood. Home has oversized eat in kitchen with appliaces, dining room and large living room with faux fireplace. 3 spacious bedrooms and 1 1/2 bathroom. Full, clean basement with laundry, pull down attic for storage and a 1 car garage. Expanded Ranch style home in an excellent neighborhood! Home features eat in kitchen with appliances, formal dining room and living room with fireplace and built ins. 4 bedrooms, (3 on the first floor and 1 on the second floor), and 1 1/2 bathrooms. Enclosed back porch, attached garage, security system, a basement that can be finished and a nice large yard! Brick ranch on a 1.29 acre parcel in the town of Amsterdam. Well kept home has an updated kitchen with light maple cabinets and a tile floor. Separate dining area, large living room with a brick fireplace, (with a pellet stove insert), 3 spacious bedrooms and 1 1/2 baths. Family room addition off the back with cathedral ceiling, a basement play room, 2 car garage and huge back yard! Amsterdam school district. Great curb appeal with this 3+ bedroom American classic set up in a great section of the city! Inside it has an eat in kitchen with appliances, an elegant formal dining room with built ins and a oversized living room with fireplace and wall to wall carpeting. Back den with sliding doors, 3 bedrooms upstairs, including a master with it's own fireplace, 1 1/2 baths total, (the half having washer and dryer hookups in it), great yard and a 1 car garage. Sharp 3 bedroom Ranch style home on a deep level lot in a great south side section of the city! House features large eat in kitchen with appliances, oversized living room with cove ceilings, nice entrance foyer and a full basement with family room, bar and 1/2 bathroom. Full bathroom on the main floor, newly refinished hardwood floors throughout, a enclosed back porch, fenced yard, walk out basement, new gas furnace and an attached 1 car garage! Great condition Cape Cod style home on a nice lot! Home features oak eat in kitchen with appliances, large living room, 3 bedrooms total, 2 down and 1 up, and 1 full bathroom. Finished basement has a great bar and laundry room. Updated roof, great yard and a large 2 car garage. Excellent condition 2 family house each have kitchens, formal dining rooms and living rooms. 3 bedrooms and 1 bath each. Hardwood floors, very clean and well taken care of home. Immaculate Split Level home is situated in a great neighborhood and features nice kitchen with stainless steel appliances, living room / dining room combo, 3 bedrooms and 1 1/2 baths total. Family room in lower level along with a laundry room. Deck off of the back of the house, an above ground pool, shed and nice swing set stays! 1 car attached garage. Great house for a great price! 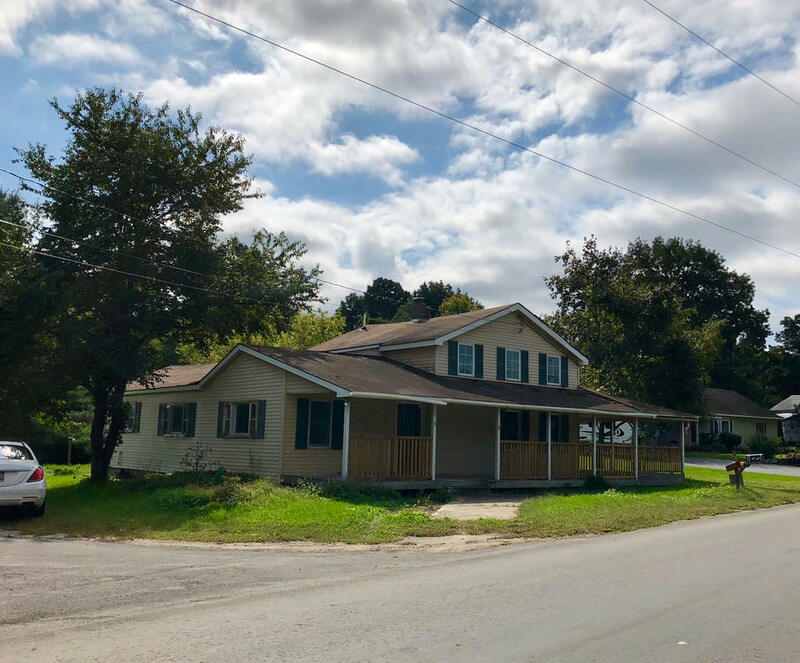 This house is a Colonial Ranch style home in the beautiful Mohawk Hills Community off of Route 5s in the Town of Florida. This particular model home features an open concept kitchen with appliances and granite counter tops and center island. Dining room and living room with gas fireplace, hardwood floors and cathedral ceiling in the living room. 3 bedrooms, including rear master suite with two walk-in-closets and it's own full bath, (2 full baths total). 9' ceilings, covered front porch, covered veranda, first floor laundry, full basement, 2 car garage with seasonal storage area. Excellent condition 2007 Colonial style house sits in a development of new homes. This house features a bright, beautiful kitchen with granite counter tops, center island and all stainless appliances. Off the kitchen there is a breakfast nook and it's all open to the family room with gas fireplace. Formal dining room and formal living room. 1st floor also has laundry room and 1/2 bath. Upstairs there is 4 bedrooms, including a large master with it's own full bath and 2 large closets. Another full bath on the 2nd floor, for a total of 2 1/2 bathrooms. Home has hardwood flooring throughout the down stairs, tile bathroom floors and carpeted/laminate floor bedrooms. Sliding glass door of the back leads you out to a beautiful custom deck with retractable awning and nice fenced in yard. Central air-conditioning, full high and dry basement a 2 car attached garage and a shed on the property! Charming 2 bedroom, 1 bath Ranch style home on the sand flats in the Town of Mohawk. Cozy eat in kitchen with birch cabinets and pantry, formal dining room and living room with brick fireplace with Dover wood stove insert. 2 bedrooms have large closets and the bathroom is tiled. Full attic with walk up stairs, full basement, hardwood floors, 1 car attached garage and a nice back yard! ​Great private setting comes with this 2 bedroom 1 1/2 bath townhouse in the Town of Perth. It has an updated oak kitchen with appliances, open dining area with wood burning fireplace and living room with burber carpeting. 2 large bedrooms are on the 2nd floor along with the full bath and a laundry area. 1 car detached garage, 1/2 bath on the first floor and nice sliding glass door off the kitchen that leads to a ground level deck and nice back yard. Ranch style home on a nice side street in Hagaman. House has cozy eat in kitchen with knotty pine cabinets and appliances. Oversized living room, 3 bedrooms off the central hallway and 1 full bathroom. Full basement, detached 1.5 car garage with pull down attic, private back yard, vinyl siding and many new windows. Ranch style home sits on 1 acre of land with 150' of frontage, as per deed. Home features kitchen, dining area / living room combo. 3 bedrooms and 1 full bath. Full basement and a deck off the back. Excellent condition single family home situated in an development of newer homes. Home features nice entrance foyer with tile floor, kitchen with granite counter tops, new tile backsplash, all appliances and eat in area. Large formal dining room, living room and family room with brick fireplace. 4 bedrooms including a master with a balcony off of it over looking the pool and a beautiful full, tile bathroom. 4 bathrooms total, 1st floor laundry room, hardwood, carpeting and Pergo flooring through out. Fully fenced, heated, in ground pool in the back yard with stamped concrete around it! Newly landscaped yard, a shed, open front porch, screened in back porch and a 2 car garage. Broadalbin Perth schools. Great starter home on a quiet dead end street off of NY 5s. House has an enclosed porch, front and back, kitchen with cherry cabinets, dining room and living room. New full bath on the first floor with tile floor. 2nd floor has 3 bedrooms and another 1/4 bathroom. Attic access, new roof, detached 1 car garage, small fenced in back yard. Schalmont schools. Excellent condition Colonial style home set in a quiet enclave of nice homes! Inside has and open kitchen with white on white cabinets and appliances, open to spacious family room with wood burning fireplace. Formal dining room with beautiful raised panel molding and hardwood floor, formal living room, 4 bedrooms and 1 1/2 bathrooms. Enclosed back porch, matching storage shed and central air conditioning. Nice patio area in back, full basement, 2 car garage and a gorgeous 1.10 acre yard! Close to municipal golf course, schools and shopping. ​Adorable, well kept Colonial style home set on a beautiful 70' x 200' lot with a super back yard! Home features kitchen with stainless steel appliances, formal dining room and living room with hardwood floors and a large, new family room! 2 bedrooms, 1 updated bathroom, replacement windows throughout, a home security system and all in a super location close to shopping and hospitals! Home is in move in condition, call or email us for a private showing! Large family? Look no further! Call to inspect this 5 bedroom, 1 1/2 bath Victorian style home situated on a 70' x 100' lot as per deed. Home has remodeled hickory kitchen with center island, 12' ceilings and recessed lighting. Formal dining room and living room with hardwood floors. Nice front entryway, 2nd floor has central hallway with 3 bedrooms and plenty of closets, 3rd floor has large landing area with vaulted ceilings, 2 more bedrooms with large closets. Detached garage, open front porch and land borders state park. Good condition Farmhouse style home situated on a nice 1.30 acre lot as per deed. Kitchen with appliances, large formal dining room and living room with pellet stove. 3 + bedrooms, 2 full bathrooms, office and beautiful pine floors throughout. Breezeway, an oversized 2 car garage with workshop and a newer roof. Newly updated two story home sits on a nice 100' x 100' lot as per deed, in an excellent neighborhood! Home features bright, spacious kitchen with plenty of cabinets and all appliances. Dining room / living room combination, large 1st floor laundry room, 3 bedrooms on the 2nd floor and 2 full bathrooms, (one on each floor). New flooring throughout, all freshly painted, great large entrance foyer, open front and back porch and an oversized 1+ car garage. Move right in condition! Spacious 3 bedroom 1 1/2 bath Victorian sits on a nice 118' x 100' village lot. Home features eat in kitchen with metal cabinets and appliances, dining room and large living room with pellet stove. Den area or could be bedroom on the first floor, walk up attic, full basement, 1 year old roof, updated electric and a 1 car garage with workshop. Brick Ranch style home situated on a nice 190' x 140' lot as per deed. Home features kitchen with breakfast bar and appliances, dining area right off the kitchen and a bright living room with fireplace. 3 bedrooms, (or 1 bedroom, right off the kitchen, could be a dining room if you don't need 3 bedrooms), 1 full bathroom, gas hot water heat, a great enclosed breezeway, large yard and full basement that could be finished for more living space. This is how it's cheaper to own than rent!! Very well kept 2 family home situated in a great neighborhood! Home features nice sized eat in kitchens, formal dining rooms, large living rooms, 3 bedrooms each and a full bath on each floor. Open front porch down, enclosed upstairs, both have enclosed back porches. Full attic and basement, updated electric, new roof, all new windows throughout, hardwood under carpeting, and newer vinyl siding. Off street parking for 3 cars and the home comes with 2 lots, (each 50' x 115" as per deeds), nice big side yard! Excellent condition 2/2 with a full bath in each apartment. Both flats have an eat in kitchen, and living rooms. Mostly hardwood flooring throughout, beautiful yard, 2 car garage, and set in a great neighborhood! Good condition 3/3 with a bath each. 2 family has kitchens with appliances, dining rooms and living rooms on each flat. City water and sewer, good investment, great neighborhood! Well taken care of 2 family close to the Veteran's Field. Both flats have good sized kitchens with appliances, dining rooms and living rooms. Beautiful tin ceilings on both floors, 2 bedrooms and 1 bathroom each. Brand new porches on the front and side of the house, new windows throughout and the oversized 2 car garage has 2 new overhead doors and a loft. Paved driveway will fit 4 cars without anyone having to move out of the way for others. 2/2 with 2 baths on the first floor and 1 full bath on the 2nd. Both apartments have eat in kitchens, with appliance on the first floor included, large living rooms and 2 good sized bedrooms. Nice fenced yard with shed. Up needs a little TLC, but has good rental potential! Great owner occupy or investment property with nice deep back yard! Great apartments feature; first floor has eat in kitchen, living room, family room 2+ bedroom and 1 full bathroom. 2nd floor has kitchen, living room 2+ bedrooms and 1 large bath. Each could have a dining room or 3rd bedroom. Full clean basement, washer dryer hook ups in each flat and a detached 2 car garage. Great condition Split Level Ranch style home set on a nice 85' x 105' lot, as per deed, in an excellent neighborhood! Home features open kitchen, dining area and bright living room with cathedral ceilings. 3 bedrooms and 1 full bath on the upper level. Lower level is set up as an in-law apartment and has a kitchenette with appliances, dining area and living room. It also has 1 bedroom, an office and a full bathroom. Don't need an in law apartment? It's also a perfect area for a family room, overnight guest space or room to entertain! So many possibilities! House has a 2 year old architectural shingled roof, freshly painted interior and central air conditioning. Great deck off the upper level, lower level patio, large yard, paved driveway and a 1 car garage. Owner wants this home sold!! View Slide Show - NEW! Nice sized 2,400 square foot Ranch style home set on a great 1.27 acres of land, as per deed, surrounded by woods. Home features open kitchen with maple cabinets and center island, living room and dining room with oak hardwood floor. 3 bedrooms on the main floor and 2 more in the lower level. 2 full baths on the main floor, a 3/4 bath on the lower level and 1st floor laundry room. Unfinished 2nd floor that could be finished off for even more living space. Finished lower level family room with French doors out to the ground level patio. Large pressure treated deck that runs the length of the home overlooking the back yard. Attached, heated garage and a pad for an RV with electric hook up. Broadalbin Perth schools. New construction 2,115 square foot, Prairie style house set on 1.10 acres of land. Home has a great floor plan including a gorgeous open kitchen with granite counter tops and stainless appliances, dining area right off the kitchen, bright formal dining room with bamboo hardwood flooring, large living room with cathedral ceilings with a cultured stone, floor to ceiling gas fireplace, also with bamboo hardwood flooring. 1st floor master suite with cathedral ceiling, walk in closet and it's own large bath with jacuzzi tub and fully tiled shower. 3 more good sized bedrooms on the 2nd floor and a full bathrooms. 1st floor laundry room, half bath on the first floor, and a oversized 2+ car garage with drive out doors in the back. 20' x 12' pressure treated deck off of the kitchen, walk out basement, full bath in the lower level, culture stone front with vinyl and cedar shake siding. All this set in a nice private setting on a cul-de-sac. Excellent condition Executive Ranch style home set on approx. 4+- acres, (to be determined by a survey), of beautifully landscaped property! Home features brand new white kitchen with tile floor, granite counter tops and stainless appliances. Family room area off the kitchen with gas fireplace, formal dining room and living room with pegged wood floors and fireplace. 3 good sized bedrooms and 2 1/2 bathrooms. Basement is newly finished into a family room also with a fireplace and there is a great 4 season porch off the back of the home. Attached 2 car garage, a barn on the property and a the living room has a sliding glass door out to a stone patio with awning. Full house generator, new roof, new furnace, central air and new garage door. Nothing to do here but move right in! Land could be sub-divided! Sharp expansive 2,500 square foot Ranch style home set between Fonda and Johnstown in a quiet rural setting with a great view. Home is set on 2.80 acres of land as per deed. Inside has a large eat in kitchen with hardwood cabinets, centers island, and appliances. Dining room, oversized living room with fireplace with wood stove insert and family room addition with vaulted ceiling and knotty pine walls and gas fireplace . 3 spacious bedrooms, 1 3/4 bathrooms, hardwood floors and carpet throughout. 1st floor laundry, open front porch, mature landscaping and a 2 car attached garage. Beautiful Colonial style home situated on almost 2 acres of land! Home features Carriage House kitchen with appliances, formal dining room, large living room with gas fireplace and a cute little den/sunroom off the side of the home. 4 bedrooms, 1 1/2 baths, 1+ car garage, great patio in the back and an amazing yard! Adorable Cape Cod style home situated on a 80.80' x 294.50' lot as per deed. Home features nice oak kitchen with appliances, formal dining room and large living room. 3 bedrooms, 2 bathrooms, hardwood and tile flooring throughout, fenced in in ground pool with cabana, fire pit and a 2 car garage. Nice yard and in a super neighborhood! Adorable cottage style home situated on the south side of the city! Home features updated kitchen with appliances, good sized dining room and living room. 3 bedrooms, all on the 2nd floor and 2 full bathrooms. Family room in the basement along with 1 of the 2 bathrooms. Back porch and nice open front porch. 2 year old roof and paved driveway. Adorable single story cottage in an excellent location overlooking the valley! Home features country kitchen with appliances, cozy dining room and living room with Bay window and hardwood flooring. 2 bedrooms, 1 full bathroom, covered patio in the back, open front porch, nice large yard and a 1 car garage. Home is move in ready!! Beautiful 2 story home situated in a development of new homes and on a nice 1.70 acre lot as per deed. Home stone and vinyl front and carriage house garage doors on the 2 car attached garage. Great amenities in this gorgeous, 2,600 square foot home feature, open concept great room with gas fireplace, adjoining breakfast nook, kitchen with granite counter tops and stainless appliances. Formal dining room, a study, 1/2 bath and mud room on the first floor. Hot air heat and central air conditioning. 2nd floor has master suite with it's own tile bathroom with tub, full shower and walk in closet, 3 more bedrooms, (4 total), and another full bathroom on the second floor, (2 1/2 total). Full basement, 2nd floor laundry room, and it's still not too late to make your own selections! Broadalbin Perth schools. Clean Ranch style home surrounded by farmland! House has large eat in kitchen with appliances, over sized living room, 3 spacious bedrooms and 2 bathrooms. House also has a small studio in-law apartment that has open kitchen and bedroom and shares one of the baths with laundry room. Great private back yard, generated hook up, covered porch off the back and a attached 2 car garage. Tons of curb appeal with this sharp 1,008 square foot Ranch on the outskirts of the village of Broadalbin. Spacious living room with hardwood flooring and wood burning fireplace, kitchen with oak cabinets, tile floor and appliances and dining area. Central hallway leads to 3 bedrooms and 1 full bathroom. Nice screened in porch off the back, pressure treated deck, open front porch, nice back yard with stone border, an attached 2 car garage and an extra garage with workshop. 1999 Single wide mobile home situated on 135' x 230' irregular shaped lot, as per deed. Home has eat in kitchen, dining area, living room, 2 bedrooms and 1 bath. 30' x 40' metal pole barn, (1980), with 20' x 40' addition with concrete floor. Great for small animals, a horse or would make a great shop! Dug well and 1000 gallon concrete septic. On a beautiful rural setting sits this great condition Ranch style home situated on 4.8 acres of land. Nice kitchen, formal dining room, living room with fireplace, 3 bedrooms and 2 bathrooms. New carpets through out and hardwood flooring in the master bedroom. Deck off the back and the home is fully insulated. Great country cottage style home features new kitchen with breakfast bar and appliances. Open concept kitchen, dining room and living room with wood stove. 3 bedrooms, 2 on the first floor and nice 2nd floor master suite with it's own bathroom and walk in closet. 2nd bathroom on the first floor has been updated and there is a 1st floor laundry area. Fully fenced yard with a deck off the back, paved driveway, a 2 car garage, a shed and the house has central air conditioning! Clean Cottage style home in the Town of Florida that sits on a quiet side street with a lot size of 50' x 130' as per deed. Home has a eat in kitchen, dining room/living room combo. 2 bedrooms, 1 full bathroom and first floor laundry. ​2nd floor attic area, nice back yard , full basement with newer furnace, newer roof and updated electrical service. Paved driveway and shed on the property. ​Large brick house in a great country setting, set on 1.20 aces of land, as per deed. Large eat in kitchen with range, formal dining room and living room. 4 bedrooms and 1 1/2 baths. Great 2+ car garage with workshop and 2nd floor office. Nice level yard, deck off the back of the house and surrounded by farmland. Good solid structure, just needs cosmetic updates! Great condition 1,987 sq. foot Ranch style home situated on a 100' x 136' lot as per deed. Home features nice kitchen with appliances, dining room / living room, (with cove ceilings) combo. 4 bedrooms, 2 3/4 baths,(1 updated with glass shower doors and the master bath has a great jacuzzi tub and shower), and a finished basement family room. Laundry in basement, hardwood floors, generator, central air conditioning, attached oversized 1 car garage, 2 sheds and an above ground pool with heater. What's not to like about this great condition 3 bedroom, 1 full bathroom Bungalow style home situated in a nice part of the city. Home has updated eat in kitchen with appliances, living room and small family room in the finished part of the basement. New windows throughout, hardwood floors under the carpet, Trex deck off the back with a full awning over it. 2 1/2 car garage. Great condition two story house sits on a nice 136' x 150' lot. Home features a brand new kitchen with cherry cabinets, granite counter tops and stainless appliances, formal dining room and spacious living room. 4 bedrooms on the 2nd floor, 2 bathrooms one on each floor, (up bath has been remodeled and has a jacuzzi tub), and a den off of the kitchen. New electrical, hardwood flooring, great open wrap around, front porch, 3 season sun room, detached 2 car garage, a carport and a great side yard! Beautiful 2 story home situated in a development of new homes and on a nice 1.70 acre lot as per deed. Home stone and vinyl front and carriage house garage doors on the 2 car attached garage. Great amenities in this gorgeous, 2,600 square foot home feature, open concept great room with gas fireplace, adjoining breakfast nook, kitchen with granite counter tops and stainless appliances. Formal dining room, a study, 1/2 bath and mud room on the first floor. Hot air heating and central air conditioning. 2nd floor has master suite with it's own tile bathroom with tub, full shower and walk in closet, 3 more bedrooms, (4 total), and another full bathroom on the second floor, (2 1/2 total). Full basement, 2nd floor laundry room, and it's still not too late to make your own selections! Broadalbin Perth schools. Turn key ready Townhouse just on the edge of Hagaman. Inside it has an eat in kitchen with new countertops and appliances, dining area with laminate floors and living room with fireplace. 2nd floor has 2 bedrooms including large master with full bathroom off of it, 1/2 bath on the first floor. 2nd floor laundry, great back yard, private setting and a detached 1 car garage. Easy one floor living in this spacious Ranch style house overlooking the valley. Home has 2,264 square feet of living space that includes large eat in kitchen with oak cabinets, a breakfast bar and appliances, dining room and an oversized living room with a wood burning fireplace. 4 bedrooms, plus a den and 2 full bathrooms. Full basement with workshop area, attached 2 car garage, private back yard and home comes with 2 lots, 1.20 acres and a 2nd lot of 2.48 acres. Beautiful Coonial style home set on a quiet dead end street. Home features spacious modern kitchen with all new appliances, formal dining room, large living room and family room with fireplace, (gas insert). Gorgeous entrance, sun room, 4 bedrooms, 1 1/2 bathrooms, hardwood floors throughout, large lot, fenced in yard, deck off the back, and a 2 car garage. House is very well maintained, move in condition! 1,025 square foot Ranch style home in a great residential neighborhood! Home has 3 spacious bedrooms, 1 1/2 bathrooms, kitchen with appliances, dining area off the kitchen and bright living room. Finished basement with family room, office/spare room, bar and gas fireplace. 1 car attached garage, central air-conditioning and off the dining area, a sliding glass door that leads to a deck in the back yard! Privacy comes with this sharp 2 story home set on a 30+- acre parcel with abundant wildlife! Inside has a spacious eat in kitchen, formal dining room with hardwood floors, family room with wood paneled walls and wood insert in the fireplace. Large foyer, oversized living room, 3+ bedrooms, (including a large master suite with skylights), 2 3/4 bathrooms and a den. Central hallway with skylights in upstairs. 2 car garage with workshop and 2nd floor storage, green house, chicken coop, wood shed, another garage and other outbuildings. Large wooded lot with timber and year round stream. Adorable cottage style home situated on a nice 100' x 117' lot as per deed on quiet dead end street. Home features kitchen with appliances, dining room and cozy living room with brick wood burning fireplace. 2 bedrooms on the first floor and 1 bedroom upstairs and a full bathroom on the first floor. Great back yard with stone gardens. Perfect starter or retiree home! Affordable, well maintained 4 bedroom, 1 1/2 bath home on a side street off of Market Street. Large eat in kitchen with appliances, dining room, living room and half bathroom with laundry on the first floor. Bedrooms and another full bath on the second floor. Replacement windows, open front porch with trex stairs, enclosed back porch & full clean basement. Well maintained, owner occupied 4 family home. All clean 2+ bedroom units with spacious eat in kitchens, large living rooms and a full bath in each. Separate electrical, full basement, clean, for storage. Walk up attic, off street parking and long term tenants. Replacement windows, washer & dryer hook-ups in some units. Package deal on 2 side by side two families. 20 Swan is a 3/3 with a bath a piece, updated kitchens and baths, dining rooms and living rooms. New forced air heat and Pergo floors in the dining and living rooms. 22 Swan is a 3/2 with a bath on each floor. Both have eat in kitchens, dining rooms and living rooms. This house has hot water heat and all the utilities are separate for both houses and all are on circuit breakers. The owner is also throwing in as a bonus a 50' x 100' lot on 3 Sweeney Street, Amsterdam! Good condition 3 unit features a 3, (possibly 4), bedroom unit and two more 1 bedroom units. Downstairs is the largest unit featuring kitchen, with appliances, formal dining room and living room. Up front has 1 bedroom, a new kitchen with appliances and living room and up back also has 1 bedroom, eat in kitchen with appliances and living room in good condition. Home has a new roof put on in 2003, separate utilities and a 3 car garage. Handyman's special features kitchen, lg. living room, total of 3 bedrooms and 1 full bath. Open front porch, enclosed back. ​Home needs much repair, but is priced to sell. Good condition 4 unit has two 3 bedroom apartments on one side and two 2 bedroom apartments on the other side. Each have eat in kitchens, the 3 bedrooms have dens, 1 bath each, and all have good sized living rooms. Enclosed porches, newer roof and a 2 car garage. Great rental income or super owner occupy! Excellent condition Cape Cod style home in a great neighborhood on a beautifully landscaped lot. Home features brand new Maple kitchen with Corian countertops, stainless appliances, tray ceiling and breakfast bar. Bright dining area with bay area, living room with fireplace, 3 bedrooms, (including master suite), and 2 full, updated bathrooms. Hardwood floors and crown molding throughout, central air conditioning, a enclosed back porch and sliding door out to a beautiful stamped concrete patio. New vinyl fencing, new windows, new roof, 1 year old furnace, central air and water heater. Detached 2 car garage and a nice yard. Nothing to do here but move right in! This house is GORGEOUS! It's not a drive by, you must go inside it to appreciate it! Home features beautiful white kitchen with stainless appliances and granite counter tops, dining area in the kitchen, formal dining room, (used as a family room), office, and large, bright living room. 3 bedrooms, (master is huge with it's own full bath and walk in closet), 3 full, new bathrooms, total. Hardwood floors throughout, 3 year old roof, furnace and central air conditioning, new windows, 2nd floor laundry, (washer and dryer included), attached 1 car garage and a huge 10' x 20' deck off the back, (entrance from 2nd floor). Owner is willing to leave most of the furnishings, (if interested). You could literally, move right into this one! Almost brand new 2,370 square foot Colonial style home built in 2012. Home has an open concept kitchen with maple cabinets, center island and all appliances that is open to the family room with a fireplace. Formal dining room and a spacious den with french doors. 4 bedrooms, including large master with walk in closet and it's own tile bath with garden tub and 2 1/2 bathrooms total. Hardwood floors in the foyer and dining room, central air-conditioning, full poured foundation, and an attached 2 car garage with storage space. Nothing to do here but move right in and enjoy! Excellent condition Ranch style home on a 145' x 240' lot as per deed. Home features kitchen with appliances and breakfast bar, dining area off the kitchen, living room and family room with stone fireplace. 3 bedrooms, 1 3/4 baths, full basement, new roof, oil tank, and water heater and updated furnace. 2 car garage, deck off the back, 16' 33' in ground pool and all situated in the Brodalbin Perth school district. One of the nicest 2 families on the market with this 1/2 bedroom on a quiet street. Inside is all modern and turn key ready with updated kitchens, with appliances, dining rooms, living rooms and updated baths. Open front porch down, 3 season porch up and great wood work throughout. Storage shed, new roof, windows,updated 200 AMP circuit boxes and a 2 car garage. Super owner occupy or income property!! Amazing views come with this excellent condition Cape Cod style home situated on 1.64 acres of land with 221.50' of frontage, as per deed. Home features eat in kitchen with granite counter tops and center island along with a tile back splash, dining area and all appliances. Formal dining room, living room with sliding glass doors out to a deck, den with a gorgeous view, 3 bedrooms and 2 1/2 bathrooms. Finished basement with pool table, pellet stove, family room, bar and dance floor. Mother in law apartment has a kitchen with white with appliances, dining room living room combo. 1 bedroom, large bath with laundry area and it's own private deck. 4 car attached garage. Broadalbin Perth schools. Great residential setting with this Ranch style home set on a 120' x 155.70' lot, as per deed. Home has an eat in kitchen with birch cabinets and appliances, large living room with hardwood floors and beveled ceiling. 3 spacious bedrooms with ample closets, 2 bathrooms, full basement with laundry area home has been freshly painted and a breezeway leading to the attached 1 car garage. Private back yard, small patio and home is in a great location close to shopping, hospitals and the thruway. Excellent condition home features updated kitchen with appliances, formal dining room and nice living room. 4 bedrooms, 1 1/2 bathrooms, new carpeting throughout, nice open front porch, new roof and a carport. Turn key ready home on a quiet side street. Home has nice kitchen with breakfast bar and appliances, formal dining room, cozy living room and parlor. 1 bedroom on the first floor, 4 bedrooms upstairs, 1/2 bath down and a full bath up. Wrap around front porch, back porch,replacement windows, full, clean basement, newer roof, great landscaping and a 4 car garage. View Slide Show - New picts. added! No home improvement needed with this immaculate Ranch style home set on 1.036 acres. Home has brand new kitchen with oak cabinets, tile floor, granite counter tops and all appliances. Open dining room with hardwood floors and wood stove, living room overlooks the back yard and has a wood stove. 3 bedrooms, 2 bathrooms, sun room, and basement family room with bar. New windows and doors, all new wiring, and a deck off the back. Amazing 2 story outbuilding with workshop, poured concrete floor and walk up 2nd floor storage. Clean and well maintained Ranch style home situated on a nice lot in a great part of the city! Home features eat in kitchen with tile floor and appliances, dining area off of the kitchen and spacious living room with hardwood floor. 3 bedrooms, 1 1/2 baths, basement family room with bar, workshop and laundry area. Enclosed screen porch overlooking a lovely back yard. 1 car garage with breezeway. Step back in time in this adorable Cottage set on a nice corner lot. Home has an eat in knotty pine kitchen, dining room and cozy living room. 2+ bedrooms, 1 bath, lovely open front porch, hardwood floors. Surrounded by nice mature locust and lilac trees. Great starter home. Large brick 2 family house on a 94' x 105' lot with spacious flats. Each flat included eat in kitchens, living rooms, 3 bedrooms and 1 bath with shower and laundry hook ups. Enclosed back porches, off street parking, 2 new breaker boxes, new furnace and updated plumbing. Great condition Ranch style home features updated kitchen with appliances and laminate wood floors, formal dining room and living room with stone fireplace with pellet stove insert. Finished basement has family room with gas fireplace and den or possible 4th bedroom. 3 bedrooms and a full bathroom on the main floor and dining room and living room have new windows. Basement has a B-Dry drainage system, enclosed back porch, deck, a brand new roof with lifetime shingles, shed and a 2 car garage. Home sits on a 180' x 100' lot and 2 extra lots across the street are included with this sale. Call or email us for more information. Absolutely pristine condition Cape Cod style house set on a 75' x 100' lot with an additional 25' x 100' lot included. Home features freshly painted kitchen with newer appliances, bright formal dining room with built ins and hardwood flooring and a large living room with wood burning fireplace. 3 bedrooms total, (1 on the first floor and 2 on the second floor), and 1 1/2 updated bathrooms. Home has hardwood flooring throughout, central air conditioning, all replacement windows and a nice entrance foyer. Full, walk out basement, fenced in yard, brand new roof, (on the house and garage), and an over sized 1 car garage with 2nd floor storage. Nothing to do here but move right in! Clean well maintained Bungalow with an eat in kitchen, large living room, 3 bedrooms and 1 full bathroom. Nice back yard, basement with sauna and cedar closet. 2 car garage and too many improvements to list! Call or email for more information and a showing! Own this home for less than rent! 1,610 square feet of quality living in this Ranch style home set in a peaceful Town of Florida setting! Home is set on 4.90 acres with 814' of road frontage. House features 4 bedrooms, (2 bedrooms on the 1st floor and 2 bedrooms on the lower level), 1 3/4 bathrooms, open concept Carriage House kitchen and dining area with pellet stove. Large living room, finished basement family room, 1st floor laundry, generator hookup, covered front deck, 2 car attached garage with storage area and separate adjacent storage garage. Newer doublewide home set on beautiful 6+- acres of land. Home features gorgeous oak kitchen with appliances, large dining area and bright living room with fireplace, (with wood stove insert). 3 bedrooms, 2 baths, including master bathroom with garden tub and stand up shower. Home is set on a full foundation with walk out in the back. 30' x 40' pole barn also included in this sale with water and electricity going to it. All this set in a great quiet country setting! Newer Ranch style home in a nice neighborhood. Home features eat in Oak kitchen with appliances and spacious living room. 3 bedrooms, 2 full bathrooms and full basement that could be converted for more living space. Laundry room off of the kitchen, hardwood flooring throughout, central air conditioning, a deck off the back of the house and an attached 2 car garage. Clean, well maintained 5 bedroom house on a quiet street in Hagaman. Home has an eat in kitchen, dining room and cozy living room. 1 bedroom down stairs, and 4 bedrooms on the 2nd floor with a large first floor bathroom. Laundry area on the enclosed back porch, enclosed front porch, deck off the back, great back yard, large driveway and a 1 car garage with workshop. Nice Victorian style house situated on a 205' x 177' lot, as per deed. Home has white kitchen, formal dining room, and large double living room. 3+ bedrooms, 2 bathrooms, beautiful center stair case and great wide pine floors throughout! 2,468 square feet of living space, a barn and a shed on the property. Great condition Ranch style home set on the edge of the village of Hagaman. Home has large eat in kitchen with appliances, and many recent updates including a new tile floor, tile back splash and solid surface countertops. Oversized living room with cove ceilings and fireplace, 3 bedrooms, 2, (1 master bath and 1 new), bathrooms and first floor laundry. Deck off the back with stamped concrete patio and vinyl fenced in back yard. Storage shed, replacement windows throughout, 2 car garage and all set on a great corner lot backing up to woods. Well maintained 2 story home set on 5 acres of land, as per deed, in a great country setting! Home features an eat in kitchen with Carriage House cabinets and appliances, dining room and living room. 4 bedrooms, 1 1/2 bathrooms, laundry room, replacement windows and a walk up attic. Deck off the back of the house, storage shed, a paved driveway and mature landscaping. Excellent condition 2 family home features eat in large kitchens, formal dining rooms and spacious living rooms.3 good sized bedrooms and a full bath each. Beautiful windows in the front, great wood work, Open and enclosed porches, separate utilities, nice back yard a 2 car garage and a great neighborhood! Package deal on 2 side by side two families. 20 Swan is a 3/3 with a bath a piece, updated kitchens and baths, dining rooms and living rooms. New forced air heat and Pergo floors in the dining and living rooms. 22 Swan is a 3/2 with a bath on each floor. Both have eat in kitchens, dining rooms and living rooms. This house has hot water heat and all the utilities are separate for both houses and all are on circuit breakers. The owner is also throwing in as a bonus a 50' x 100' lot on 3 Sweeney Street, Amsterdam! Brand new! On a quiet cul-de-sac, sits this 1,520 square foot Ranch style home situated on a nice 1.10 acre lot. Home has an open kitchen with light maple cabinets, (cherry stained), and granite counter tops, dining area and family room with 9' ceilings. 3 bedrooms, including a master with walk-in closet and it's own full bath, 2 tile baths total, full basement, that could be converted and a 2 car garage. Hardwood floors throughout, sliding glass doors off the kitchen and master bedroom will lead out to a 12' x 16' composite deck and gas forced air with central air. Excellent condition 2007 Ranch style home set on 2.90 acres with 450' of frontage, as per deed. Home features nice maple kitchen with appliances and breakfast bar. Dining area in the kitchen open to the large, bright living room with a wood stove and sliding glass doors out to a deck. 1st floor has 3 bedrooms and 2 full bathrooms. Downstairs is finished and has a family room, a bar area and a den or 4th bedroom. Central air conditioning, 2 car garage and all set in a beautiful country setting! Excellent condition Contemporary Ranch style home situated on a beautifully landscaped 1.20 acre lot, as per deed. Walk in to the nice tiled entryway, then in the family room and living room with a 2 sided gas fireplace. Nice sized kitchen with updated appliances and eat in area, and there is also a formal dining room. 3 bedrooms, 2 1/2 baths, (master has it's own bath with whirl pool tub and Corian counter tops), and laundry room including washer and dryer. Lower level is ready for a family room or rec. room. All updated systems, (roof, furnaces, water heater, plumbing), great deck off the back of the house and an attached 2 car garage. Exceptional 3 bedroom, 1 full bath Brick Ranch style home in a great residential setting. Home has an eat in kitchen with oak cabinets and appliances, living room with hardwood floors, central hallway that leads to the bedrooms and bath. Finished basement with bar and new ceiling and a 3 season room. Updated electrical, new water heater, replacement windows, great yard and a 1 car garage. Spacious 2 story home in a great neighborhood! Home has a kitchen with maple cabinets and appliances included, dining room and living room, (hardwood flooring under the carpet). 4 bedrooms, (2 downstairs and 2 upstairs), 1 full bathroom. Replacement windows throughout, newer roof and an oversized 2 car garage. House sits on a 75' x 125' lot and 2 more lots, 50' x 125' and a 75' x 125', are included with the sale! Great condition Cape Cod style home situated on a nice 75' x 200' lot as per deed. Home features kitchen with breakfast bar and appliances, formal dining room and large living room and family room with fireplace. 3 bedrooms, 2 full baths, hardwood floors and central air. Outside has a great patio area, a large yard,1 car garage and the home has a brand new roof! Great Farmhouse style home sits in a super neighborhood on a great corner lot! Home features brand new white kitchen with farmhouse sink, butcher block counter tops and stainless appliances. Kitchen is open to the formal dining room with hardwood floor and negotiable pellet stove. Large, bright living room, 3 bedrooms upstairs and 2 full bathrooms, one on each floor. 1st floor laundry, hardwood floors and replacement windows throughout. Outside features an open front porch, a 1 car garage and a new deck off the back that leads you to a totally fenced in back yard! Broadalbin Perth school district. Adorable Cape Cod situated on a nice 105' x 254' lot as per deed. Home sits on the edge of the village of Hagaman and features Pine kitchen with center island and appliances, cozy dining room and living room with wood floors. 4 bedrooms total, 2 on each floor, and 2 full baths, (new one on 2nd floor) and an enclosed back porch. Patio area behind the oversized 1 car garage, fire pit, fenced in back yard with mature landscaping. Home has brand new siding and roof! Great Ranch style home set in a nice neighborhood on a 120' x 150' lot as per deed. Home features oak eat in kitchen with appliances, dining area and living room with stone fireplace. 3 bedrooms, 1 full bath, laundry hookups in the basement, drilled well a 1000 gallon concrete septic and an attached 1 car garage. Great condition 2 story home sits on a nice 97.5' x 130.3' lot and features downstairs with a kitchen with appliances, formal dining room and living room with fireplace. 2 bedrooms and 1 full bath. Upstairs has living room 1 bedroom and 1 full bathroom. New furnace, roof and driveway. Siding was put on in 2008. Attached 1 car garage and all set in a great neighborhood! Clean and well maintained Cape Cod style house in a great section of the city! Home has original eat in kitchen with appliances, separate dining room and large living room. 4 bedrooms total, 2 down and 2 upstairs, and 1 full bathroom on the first floor. Hardwood flooring under the carpet, enclosed back porch, new electrical and outlets, new roof, mature landscaping, nice yard and a 1 car garage. Adorable cottage style home situated on a 30' x 120' lot as per deed. Home has new Hickory kitchen with Corian counter tops and appliances. Formal dining room, large living room and hardwood floors throughout. 3 bedrooms total, (one on the first floor), and 1 full baths. 2 car garage, brand new roof and a nice yard. Excellent condition 2 bedroom, 1 bath 1990 mobile home situated on a 91' x 170' lot as per deed. Home has kitchen with appliances, dining area and large living room. Laundry hookups, freshly painted inside home is in a nice setting and a 2 car garage. Clean single wide with a great view of the valley and river. Home has a cozy eat in kitchen, living room, central hallway with 2 bedrooms and a full bathroom. Wall to wall carpeting, porch off the back, paved driveway, a 1 car garage great yard and low taxes. On a quiet cul-de-sac, sits this 1,520 square foot Ranch style home situated on a nice 1.10 acre lot. Home has an open kitchen with light maple cabinets, (cherry stained), and granite counter tops, dining area and family room with 9' ceilings. 3 bedrooms, including a master with walk-in closet and it's own full bath, 2 tile baths total, full basement, that could be converted and a 2 car garage. Hardwood floors throughout, sliding glass doors off the kitchen and master bedroom will lead out to a 12' x 16' composite deck and gas forced air with central air. Clean Cottage across the street from the Great Sacandaga Lake with 20' permit on the lake. Adjacent to the Town Of Providence town beach. Cottage is rustic with an eat in kitchen, living room with brick fireplace with wood stove insert, 3 bedrooms total, (1 down, 2 up), and a 1/2 bathroom. Enclosed front porch, shed, small deck off the back, double lot and an updated breaker box. Could be converted into a year round vacation home! Well cared for 1996 single wide home in a very nice park. Home features 2 bedrooms, 2 full bathrooms, (master has garden tub, stand up shower and walk in closet), kitchen with appliances, (new stove), dining area and very bright, spacious living room! Washer dryer hookups, 2 year old furnace and water heater, covered entrance, shed, large driveway and situated in a nice location! Own your own place for less than you pay in rent! Beautiful Contemporary Cape Cod style home on a peaceful 1.63 acres with 200' of frontage, as per deed. Home features bright eat in kitchen with breakfast bar and dining area, formal dining room with hardwood flooring, living room with fireplace and gorgeous woodwork, lower level family room wood stove, den, 4+ bedrooms, (2 down and 2+ up), and 2 1/2 total bathrooms. Gorgeous woodwork throughout, mostly hardwood flooring, wood ceilings and beams. 2 car attached garage with breezeway. 1988 Doublewide home set on 1.20 acres. Home features kitchen with breakfast bar, dining room and living room. 3 bedrooms, 2 full baths, laundry area and the home has a finished basement. Almost brand new construction with this sharp 1,322 square foot Ranch style home in a nice country setting. Home features beautiful open kitchen with appliances and center island, dining room and living room with pellet stove. 3 bedrooms, master has it's own full bath, for a total of 2 full baths. 2 car attached garage, 12' x 24' deck off the back and great yard with apple and cherry trees bordered by woods and fields. 2 storage sheds on the property and all this set on 1 acre with 220' of frontage. Good condition single family home situated on a quiet side street. Home features galley kitchen with solid wood cabinets, hardwood flooring and all appliances, dining room and spacious living room. 2 bedrooms, 1 full bathroom with laundry, side porch to newer 1 car garage, open front porch and a great back yard! 2,720 square foot, 1880's old style home situated on a 165' x 150' lot as per deed. Home features updated kitchen with light maple cabinets and Corian counter tops, center island and ornate tile floor, formal dining room with hardwood flooring, pleated custom blinds and new molding, and large formal living room with new Brazilian hardwood floors and wood burning fireplace. Den with knotty pine walls with shelving, laundry and pantry off the kitchen, 4 bedrooms and 2 1/2 baths total. Replacement windows throughout, full walk up attic, full basement and a above ground pool. New composite deck off the back of the home, a great yard and large 2 car garage with a brand new roof. Raised Ranch style home in a excellent neighborhood. Home features eat in kitchen with appliances, dining room, living room and lower level family room with new gas fireplace. 4 bedrooms, 2 1/2 bathrooms, lower level laundry room with storage and door our to a nice big back yard. 2 car attached garage. Great condition Ranch style home situated on a beautiful 1.30 acre lot! Home features updated kitchen with appliances and breakfast nook, and large dining room/living room combo. 3 good sized bedrooms, 1 full bathroom, full basement, 1 car garage plus a car port and a gazebo in the back yard. Gorgeous country setting! Immaculate Ranch style home in a great location! Interior has updated, modern, eat in kitchen with stainless appliances and Pergo flooring, open dining room and living room with hardwood floors, 2 bedrooms and a new full bathroom with cherry cabinets and granite countertop vanity. Laundry area in the basement that also has another possible bedroom and a 3/4 bathroom. Nice back yard and a 1 car, attached garage. Back on the market is this great 2,320 square foot farm house adjacent to The Schoharie Creek! Home has curb appeal inside and out with original moldings, wainscoted walls, doors and numerous built-ins! Large eat in kitchen with appliances, formal dining room with wainscoted walls and large living room with area for pellet stove. 4 bedrooms on the 2nd floor, 2 remodeled full bathrooms, oak hardwood floors along with knotty pine floors. Home has full stone basement, new electrical service and 2 story barn with new metal roof. All set on 2 acres of land. Take a look at this quaint old farmhouse and you won't be sorry! 1,282 square foot Ranch style home in a quiet enclave of homes. Home features eat in kitchen with white cabinets and appliances, open concept dining room and living room with wood burning fireplace, 3 bedrooms, (spacious master), and 1 full tile bathroom. Full basement with laundry area, flagstone patio in well manicured back yard with mature landscaping Lovely front entrance, new roof, security system and a oversized 1 car garage. Good condition Cottage style home situated on a 50' x 125' lot. Home features nice eat in kitchen with appliances included, large living room with picture window, 3 bedrooms and 1 full bathroom. Expansion attic would make great master suite or more living space. Nice yard, open front porch and set in a great neighborhood! Good condition Cottage style home situated on a 40' x 101.80' lot, as per deed. Home has spacious kitchen with appliances, formal dining room, double living room, 3 bedrooms and 1 full bathroom. Open front porch, back covered porch and a nice yard. Home has an expansion attic and could be converted for more living space. Great deal! Sweet cottage style home features open kitchen with appliances, dining area and living room. Great finished, enclosed front porch, 2 bedrooms and 1 full bath. 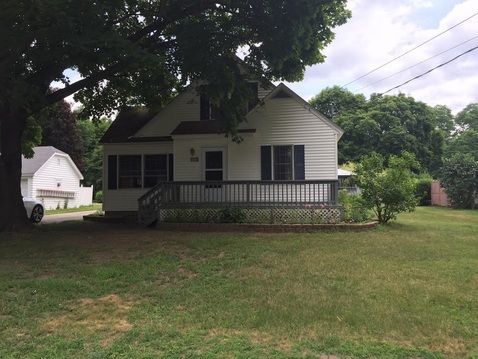 Home has a full basement, (poured foundation), with washer and dryer included, updated circuit breakers, gas hot air furnace and central air conditioning. All new windows, vinyl siding and an updated metal roof. 1 car garage, great back yard and LOW taxes!!! This is a perfect starter home or retiree home! Great starter home in a quiet residential neighborhood. Home has a old style eat in kitchen, spacious living room 3 bedrooms, 1 on the first floor and 2 upstairs, and 1 full bathroom. Attic, enclosed front porch, nice yard, large garage with workshop and 2nd floor storage. Separate 1.20 acre lot across the street also goes with this home. Brick 5 unit with 5 separate gas furnaces and separate electrical. 6 pad trailer park is fully rented. Municipal water, sewer and gas. Call for more information on this great package deal. Beautiful brick 2 family home features kitchens, formal dining rooms and large living rooms with fireplaces. Each flat has 3 bedrooms and 1 full bath. Some replacement windows, 2 gas hot water furnaces and separate utilities. Garage. Excellent condition Ranch style home situated on a 100' x 175' lot. Home has good sized kitchen, dining area and large living room with picture window. Enclosed back porch, nice 2 car garage and a great lawn in a great neighborhood! Well maintained brick Ranch style house in a nice residential setting. Home sits on a lot that is 100' x 150' as per deed with a great back yard and mature landscaping. Inside has large kitchen with many cabinets and appliances, dining area off the kitchen and spacious living room with hardwood floors. 3 good sized bedrooms, (also with hardwood floors), with ample closets, a full bathroom and all set on a full poured, foundation. Laundry in the basement, 1 car attached garage, updated circuit breakers and very centrally located to shopping, banks and hospitals. 1999 Ranch style home situated on a 190' x 218.60' lot, as per deed. Home has an Oak kitchen with appliances and breakfast bar, dining area, with a sliding glass door out to a deck and a bright living room with fireplace. 3 bedrooms, (large master), and 2 full baths. Full walk out basement would make a nice family room. Over sized 2 car garage with workshop. Turn key ready townhouse near the Fulton county line. Home has an eat in kitchen with oak cabinets and center island. Kitchen is open to the dining room with fireplace, large living room, 3 bedrooms and 2 1/2 bathrooms. 3 season room off the back of the home overlooking the back yard. 2 car garage, a shed, and all in a very convenient location. 1,008 sq. ft. right hand side of a Duplex across from Vets. field. Home has cozy living room, eat in kitchen with range and dishwasher, 3 bedrooms and a full bath upstairs. Enclosed side porch, full basement, and pull down attic for storage. Nice location! Completely remodeled 3 bedrooms 1 1/2 bath Ranch style house on a quiet 6.30 acre parcel in the country. Home has a large eat in kitchen with new tile flooring, appliances and new wood stove. Large living room, laundry room off hallway and the master bedroom has an handicapped accessible bath. Attached 2 car garage. Property has an adjacent steel Quonset hut with dirt floor that goes with the house. An additional 2 bay garage with workshop across the street can be sold with the property, or can be sold alone, (see price difference above). Do you like peace and quiet? Then you will LOVE this great Farmhouse style home that comes along with a 1.20 acre lot and a 2.90 acre lot! Home features 4 bedrooms, 1 1/2 baths, country kitchen with appliances, formal dining room, large living room and beautiful den. Gorgeous private yard, enclosed front porch, barn, pond, 2 car garage and a great country setting. Home just had a new furnace and water heater installed! Approved site for single wide with a 2 car garage. Lot size is 157.50' x 220.50' as per deed and is nice and level. Lot has a concrete pad for single wide and currently has a home on the lot, paying rent. Home is not owner by the owners of the land, but the garage is. Tenants would like to stay and pay rent to new owners! Country feel in this extremely private home surrounded by wood and cornfields and set on 1.40 acres, as per deed. Home has a cozy floor plan with kitchen with oak cabinets and appliances, dining room and living room with hardwood floors. 3 bedrooms and a full bath, all on the 2nd floor, Detached garage, open front porch, enclosed side porch with laundry and the home overlooks a year round stream. Ranch style home situated on a 100' x 100' lot. Eat in kitchen, living room, 3 bedrooms and 1 full bath. Home is a fixer upper with great potential and a 2 car garage. Brand new gas boiler just installed! Exceptional Cape Cod style home in a nice neighborhood. Large eat in kitchen with appliances, , pantry and bright breakfast room. Formal dining room, living room with fireplace, parlor, and family room/den. Up has 4 bedrooms, and 2 full baths, (master has it's own bath), down has a half, tile bathroom. Full basement with laundry hookups, (washer and dryer included! ), enclosed porch, open front porch and a 2 car garage. Home is beautiful and very well taken care of! Good condition Farmhouse situated on a 4.5 acre parcel with 240' of frontage, as per deed. Home features an old style kitchen, dining room and living room. 4 bedrooms, 1 full bath, original hardwood floors and 1st floor laundry. Great conditioned detached 2 car garage with a walk up 2nd floor storage area. Mature trees and landscaping along with a nice wooded area on the property. Beautiful 2 story home situated on a nice 100' x 115' lot as per deed. Home has Carriage House kitchen with appliances and Pergo floor, formal dining room with hardwood floors, living room also with hardwood flooring and newly remodeled lower level family room with separate pantry. 3 bedrooms, 2 1/2 bathrooms, first floor laundry with new washer and dryer, mud room, 1 car garage, shed, spacious yard with new landscaping and great open front porch! Home is in excellent condition and set it a great neighborhood!! Good investment property or owner occupy in a great neighborhood. 1st floor has a cozy living room, eat in kitchen with appliances, 2 spacious bedrooms and a full bath. 2nd floor has eat in kitchen, living room, 1 bedroom and a full bath. Replacement windows, paved driveway a 1 car garage, enclosed back porch and a full basement. Great condition Ranch style duplex in an excellent neighborhood! Right side has 3 bedrooms, left side has 2 bedrooms. Both sides have 1 full bathroom, good sized eat in kitchens with appliances and large living rooms. Nice enclosed porch on the right side, nice 100' x 110' lot as per deed and a 2 car garage. 2,652 square foot 2 family home situated on a 50' x 120' lot. Exceptional condition home features eat in kitchens, dining room / large living room combinations, 3 bedrooms on each flat and 1 updated bathroom on each floor. Nice open front porch, walk up attic, full basement, separate utilities, circuit breakers and a 2 car garage. Excellent condition Cape Cod style home situated on a nice 60' x 150' lot as per deed. Home has eat in kitchen with appliances, good sized living room, hardwood floors throughout, 3 bedrooms and 1 full, updated bath. New roof, enclosed side porch and a 1 car attached garage. Gorgeous 7 unit with great rent roll. Each unit has at least 1 bedroom, 1 full bathroom, kitchen with appliances and living room. A few of the apartments have sun rooms and each has a usable fireplace with electric insert. Stunning wood work throughout the building, beautiful entrance foyer and staircase, and laundry room on the first floor with washer and dryer. Call for more details and your private showing of this one of a kind building! Immaculate 1,816 square foot Ranch style home situated on a beautiful 2.25 acre lot. Home features Carriage House kitchen with granite counter tops, stainless appliances and tile floor. Formal dining room, oversized living room with brick, wood burning fireplace and a family room addition with tile floor and cathedral ceilings that over looks the gorgeous back yard. 3 bedrooms, 1 3/4 baths, (full is new with white wainscoted walls), tiled front foyer, paver sidewalk, resurfaced driveway, top of the line Buderous furnace and a 2 car garage. New England style shed also included. Spectacular brick Ranch style home in a great neighborhood situated on a nice 150' x 200' lot as per deed. Home has nice white kitchen with plenty of cabinets, all appliances and tile counter tops. Formal dining room, oversized living room with gas fireplace, den also with fireplace. 2 large bedrooms, 2 full ceramic tile bathrooms, full basement would make great family room, super yard, central air-conditioning an attached 2 car garage! Turn key ready Raised Ranch style home with a great floor plan! Open kitchen, with appliances, dining area and living room with brick fireplace and granite mantel. Updated kitchen with antique cabinets, Corian counter tops and center island with granite. Center hallway leads to 3 spacious bedrooms, full bath with tile floor and granite vanity and the lower level bath has stand up shower with laundry area. Family room addition with vaulted ceiling and brick fireplace. Replacement windows, security system, new generator and a 4 zoned furnace. Attached 2 car garage, fenced 18' x 36' in ground pool with newer liner a pool house, all set on 1.70 acres of land with great landscaping! Beautiful Log Home situated on a 1.80 acre lot with 407' of frontage, as per deed. Home has open concept kitchen with breakfast bar and appliances, dining room and living room with stone fireplace. Large master suite upstairs with it's own full bath and loft area overlooking the living room. 2 more bedrooms and another full bath on the first floor. Gorgeous 2 level deck off the side of the house! Full basement could make a perfect family room with a walk out sliding glass doors to the back yard. Open front porch and set on a lovely wood lot. Beautiful 2007 Townhouse in a 55 and up community. Home features open concept kitchen, dining room with gas fireplace and living room. 2 bedrooms, 2 full bathrooms, ceiling fans with remotes in all rooms, Trex deck has built in table and an attached 1 car garage. Charming Brick Federal Style Colonial home has an eat in kitchen with maple cabinets and granite counter tops, tile floor and all appliances. Dining area with tile floor, living room with bluestone fireplace, 3 bedrooms, 2 new bathrooms, (down bath has exit out to pool area), tiled entrance foyer and partially finished basement. Custom exterior door out to the amazing in ground pool area with 18' x 36' cabana, and totally fenced in. Covered front entrance and open side porch. 1850's Farmhouse in good condition with a panoramic view of the Mohawk Valley. Home has over 2,415 square feet of living area and features a large kitchen with Wood Mode cabinets, huge dining room and living room with a brick fireplace, (wood stove insert). Great open front porch, 3 bedrooms on the second floor and the full bath is on the first. 1st floor den, hardwood floors, laundry room and a pantry off the back. Home is set on 2 acres with 358' of road frontage. Post and beam barns on the property, chicken coop, garden shed and a 2 car garage. Great condition 2 family house situated on a 90' x 120' lot as per deed. Each floor has 3 bedrooms, (large masters), 1 full bath, large eat in kitchens with appliances and living rooms. New vinyl siding and a 2 car garage. Excellent condition Tutor style home in a quiet enclave of newer homes. Home features kitchen with nice maple cabinets, tons of counter space, tile floor and all appliances. Formal dining room with new Brazilian cherry laminate flooring, and large living room. Finished ground level family room, 4 large bedrooms including master bedroom with it's own full bathroom with jacuzzzi tub. 2 more bathrooms, (3 total), full basement, (with plumbing for another bath if wanted), and walk up attic. 3 sliding doors in the home, patio off the dining area, 4 zoned heating, shed, a 2 car garage and great 103.20' x 153.10' lot as per deed! Great family home! Privacy is what you enjoy with this 3 bedroom 1 full bath split level set on a 1.40 acre lot bordered by woods. Inside has an Oak eat in kitchen with separate dining area with fireplace and a over sized living room with vaulted ceiling and wood burning fireplace. Center hallway leads to the bedrooms and the bathroom, partially finished basement family room with fireplace and deck off the side of the house. 2 car garage. Needs some TLC, but will make a great home for it's new owners! Nice cottage style home is looking for a new owner! Home features updated kitchen with all appliances, dining room and nice, bright living room. 3 bedrooms upstairs, 1 3/4 baths and a full basement. Hardwood floors throughout, open front porch and enclosed back, updated electric, new windows throughout and a 2 car garage. 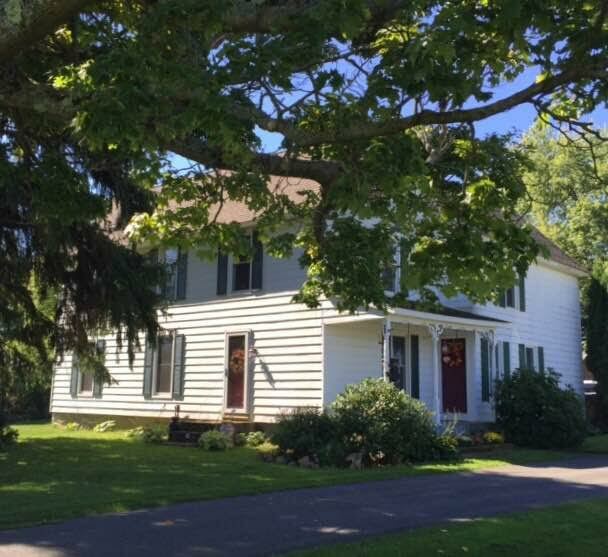 Gorgeous 1870's Colonial style home situated on 3.5 + acres, as per deed. Home features a beautiful updated Kraftmaid kitchen with all appliances, dining area off the kitchen, formal dining room, (currently used as a 2nd living room), and a living room with wood burning fireplace. 4+ bedrooms, a grand staircase leading to the 2nd floor, 1 1/2 bathrooms, back staircase, hardwood floors, open front porch and enclosed side and back porches. Property also has apple, cherry, pear trees, great pond and an over sized, heated 2 car garage! VERY well maintained with many updates! This one definitely is a beauty!! Worry free living in this over 55 community 1st floor Townhouse featuring 1,234 square foot of living space and in a convenient location close to shopping and services. 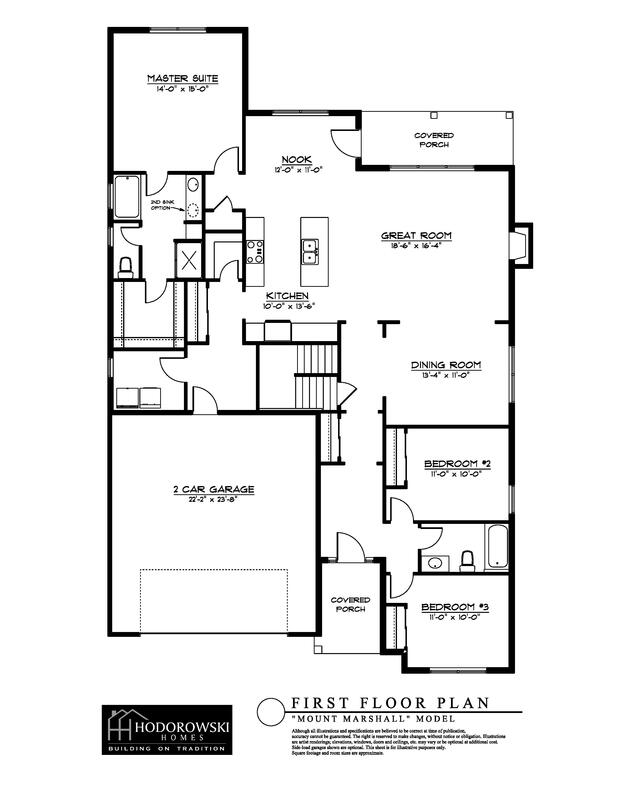 Great floor plan with an open kitchen, dining area and living room. Kitchen has all appliances, 2 spacious bedrooms, master with full bath and large closet, 2nd bathroom, 1st floor laundry, deck off the back, all new carpeting and fresh paint. Attached garage. Cape style home situated on a nice big 125' x 360' lot as per deed. House has new eat in kitchen, large, bright living room, 3 bedrooms, 2 on the first floor and 1 up, and a full remodeled bath on the first floor. Great enclosed sun porch on the front, large breezeway between the house and 2 car garage and a full basement. Great yard with gardens bordered by a creek. 1,536 square foot Cape Cod style home on a quiet dead end street near Muni golf course. Home is in excellent condition with a spacious living room with pellet stove, eat in kitchen with stainless appliances, 3 bedrooms and a full, updated bath. Breezeway to 2 car garage, new laminate flooring, new counter tops, replacement windows, new roof and furnace, and a super yard featuring 3 lots! Excellent condition Cottage style home situated on a 4 acre lot, as per deed. Home features 2 bedrooms 1 1/2 bathrooms, eat in kitchen with appliances, formal dining room and extra large living room. Additional attic space could be used for a 3rd bedrooms, enclosed front and back porches, full basement, 20' x 20' horse barn and a 1 1/2 car garage. Check out this 2,288 sq ft. American classic with a nice 69.50' x 201.10' lot! Home has a great floor plan that includes an over sized living room with a gas fireplace, formal dining room with built in's and a kitchen with nice white wood cabinets. Almost new 4 season sun room over looking a private back yard, 4 spacious bedrooms, large tile bath with laundry area, and another 1/2 bath on the first floor. Hardwood floors through out under carpeting, pocket doors in the dining and living rooms, and a nice open front porch. Tons of closets, central air-conditioning, walk up attic, full basement with walk out doors and a paved driveway and 1 car garage, (entrance on Chestnut Street). Good handyman's special in the country but close to the NYS thruway. Home sits on 2 acres of land and has a 2 car detached garage. Home is a shell that can be quickly renovated! Great for investors or a good FHA 203K candidate! 762 square feet of living space. Clean single wide home situated on a large 111.9' x 345.8' lot as per deed, bordered by woods. Inside has an eat in kitchen with breakfast bar and appliances, living room, 2 spacious bedrooms, laundry in the hall and a full bathroom. Detached 1 car garage, view of the river, nice back yard and landscaping. Great 3/2 two family on a nice corner lot off of upper Church Street. 1 floor has eat in kitchen, spacious living room, central hall that leads to 3 bedrooms and a full bathroom and laundry room. 2nd floor is a cozy 2 bedroom flat with eat in kitchen and living room. Nice mature landscaping, great yard, newer 2 car garage, and comes with a great double lot! Cape Cod style home in a great residential setting. Home features great floor plan including a kitchen with white cabinets and new counter tops, dining room and living room. One bedroom on the first floor, along with the full bath, and 2 more bedrooms on the second floor. Hardwood floors throughout, full basement with laundry area, great private back yard, detached 1 car garage and updated electrical and gas hot water heater. House has tons of curb appeal! !